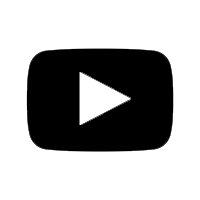 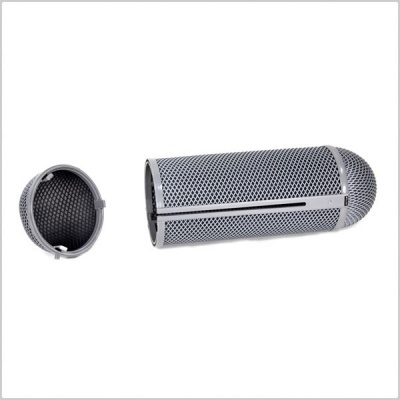 ORTF stereo recording was pioneered by the engineers at the French state broadcaster in the 1960s, and is defined as using a stereo pair of microphones with the capsules spaced 17cm apart, and at an angle of 110 degrees to each other. 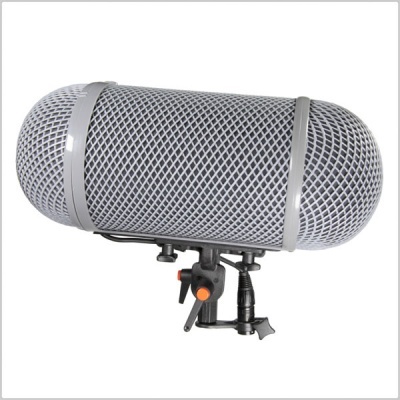 Rycote's new ORTF Windshield kit is designed for matched pairs of Schoeps CCM or Sennheiser MKH 8000 mics, and consists of a Lyre suspension, a cable clamp, and a 145mm Stereo Windshield & Windjammer large enough to comfortably accommodate the microphones. 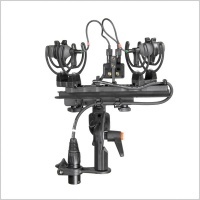 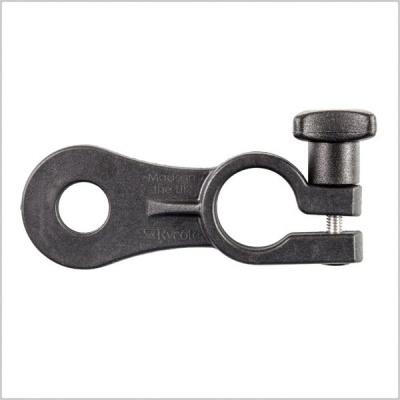 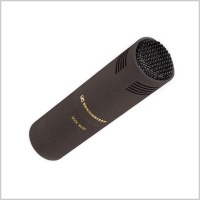 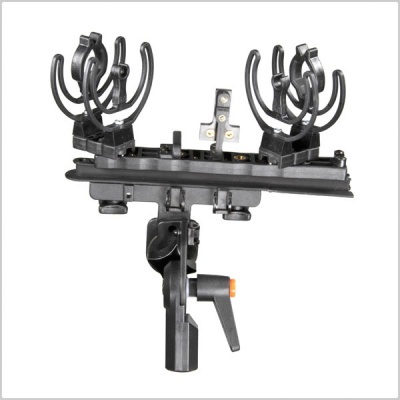 A specially designed Rycote mounting adapter bar keeps the microphones at the correct spacing and angle for ORTF recording, and the Lyre suspension and shared windshield combine to provide a solution that is extremely resistant to wind noise and unwanted vibrations such as cable-borne and handling noise. 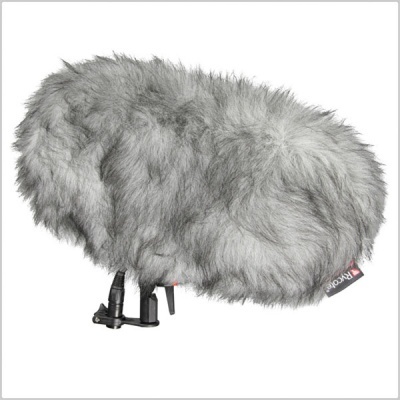 If required, additional protection against cable-borne noise can be ensured by purchasing variants of the ORTF kit which additionally include a Rycote Connbox. 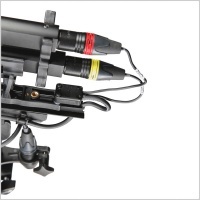 The first includes a Connbox with Lemo connectors for use with Schoeps CCMs, the other with MZL connectors for use with Sennheiser MKH8000 mics. 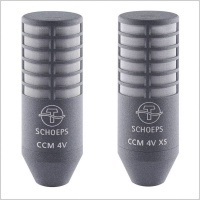 There are three variants of the kit, 2 with Connbox supplied (Lemo for Schoeps CCM or MZL for Sennheiser MKH 8020,8040 or 8050). 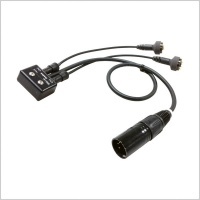 The 5-pin XLR output Connbox uses detachable Binder cables, with 130 mm tail - with either MZL or Lemo connectors.